Truffle Thursday 3rd of September at PS.Cafe Ann Siang Hill. 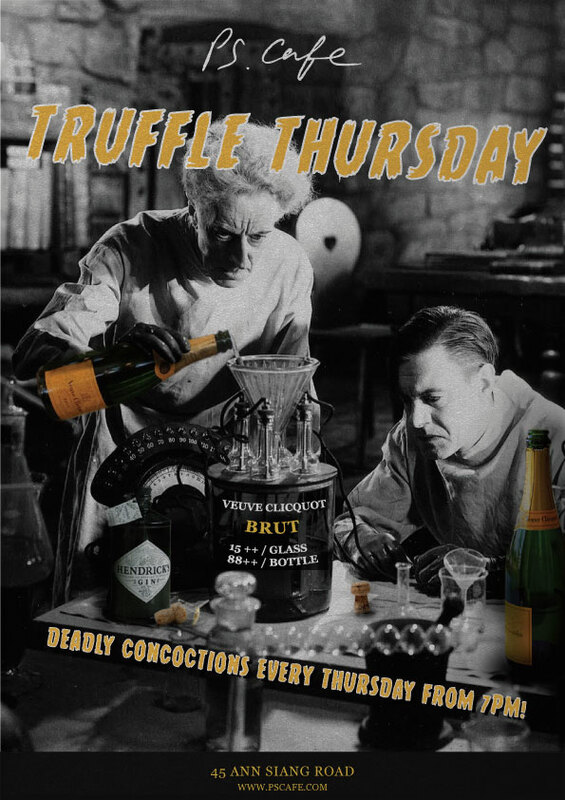 Join us for a Pow-Wow Truffle Thursday with our PS. Superheroes and enjoy the 3 new heroic drinks of the month. 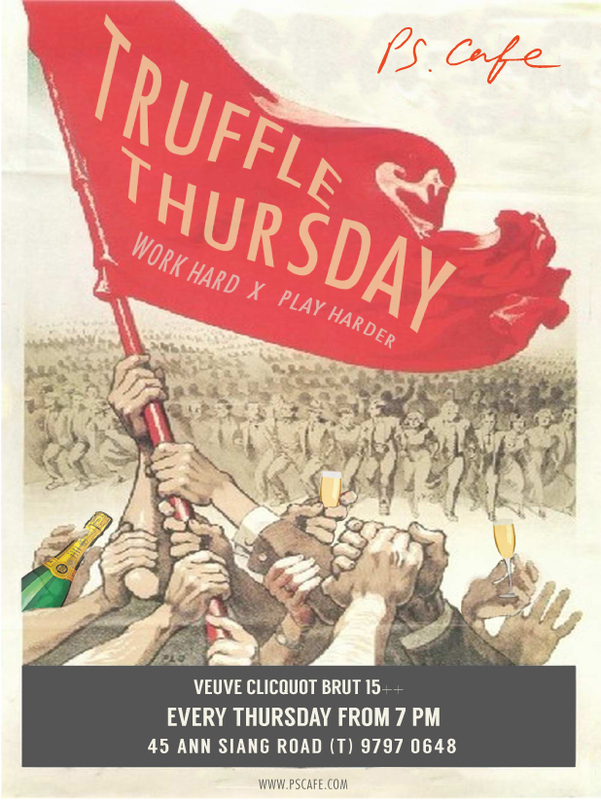 Truffle Thursday at PS.Cafe at Ann Siang Hill Park from 6th of November 2014. Commences every Thursday from 7.00 pm featuring DJ Shigeki. 15++ glass/ 88++ bottle. 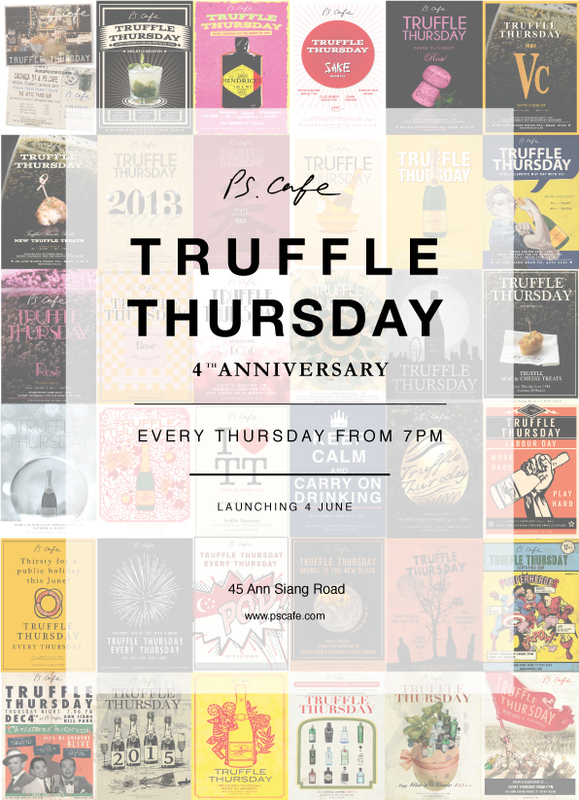 Truffle Thursday at PS.Cafe at Ann Siang Hill Park from 7th of August 2014. 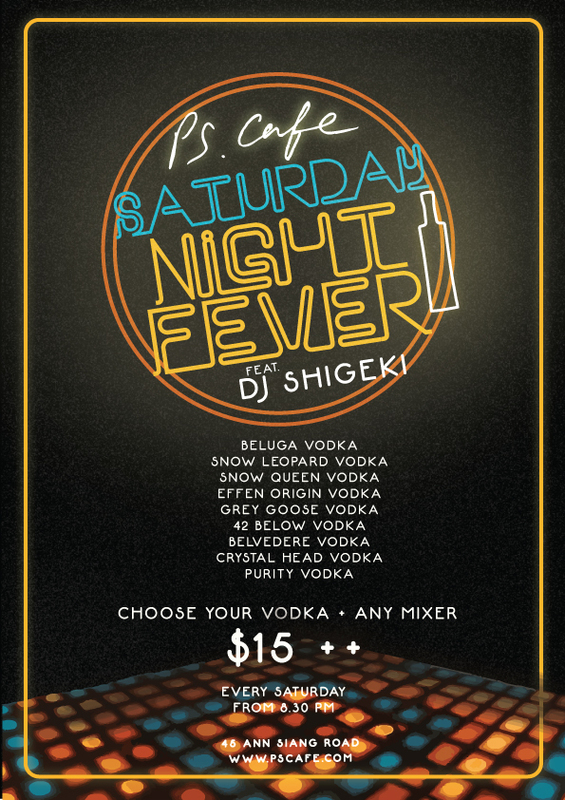 Commences every Thursday from 7.00 pm featuring DJ Shigeki. 15++ glass/ 88++ bottle.